Description: Flying over ski track in winter forest. 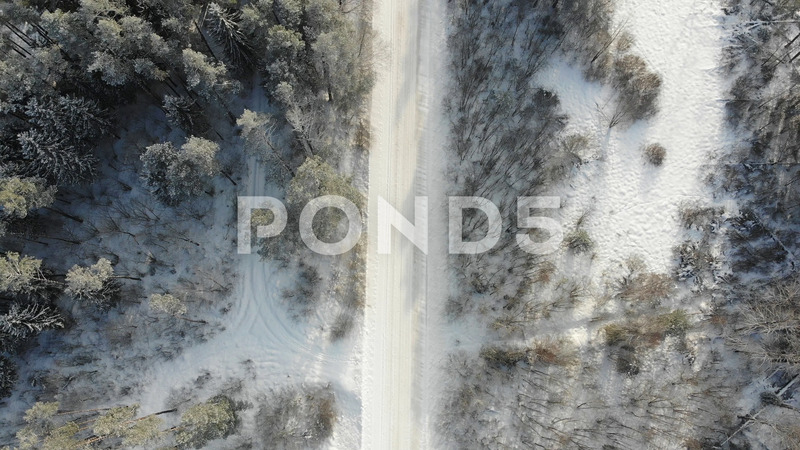 Top down view of ski road. Drone follow the walking girl skier at ski track.